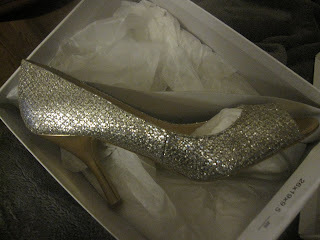 I scored some new peep-toes today at a near by Marshals! 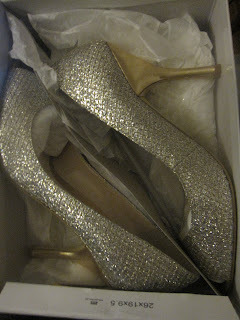 These Silver and Gold sparkle Nine Wests will be worn tonight! I'm unable to fine these online, but check your Marshals!